such as a mustache, hat, and nose, to make a face. Mr. 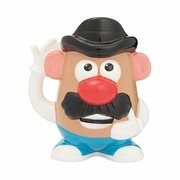 Potato Head was the invention of George Lerner in the late 1940s. The idea was originally sold to a breakfast cereal manufacturer so that the separate parts could be distributed as cereal package premiums. 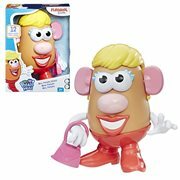 This was not successful and Lerner bought back the rights and ultimately sold the product to textile manufacturers Henry and Merrill Hassenfeld, who did business as the Hassenfeld Brothers, later shortened to Hasbro. Mr. 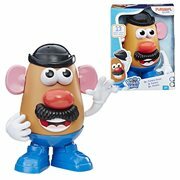 Potato Head is a popular children's toy, first sold in 1952 by Hasbro, consisting of a plastic model of a potato which can be decorated with attachable plastic parts, such as a mustache, hat, and nose, to make a face. Mr. 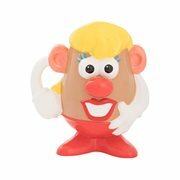 Potato Head was the invention of George Lerner in the late 1940s. The idea was originally sold to a breakfast cereal manufacturer so that the separate parts could be distributed as cereal package premiums. This was not successful and Lerner bought back the rights and ultimately sold the product to textile manufacturers Henry and Merrill Hassenfeld, who did business as the Hassenfeld Brothers, later shortened to Hasbro. Partially due to tie-ins to other licensed properties, Mr. 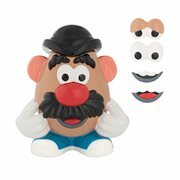 Potato Head remains extremely popular today. This article uses material from the Wikipedia article "Mr. 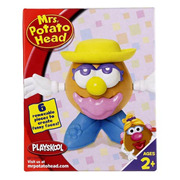 Potato Head" and is licensed under the GNU Free Documentation License.